Sweeeeet I won again this year. 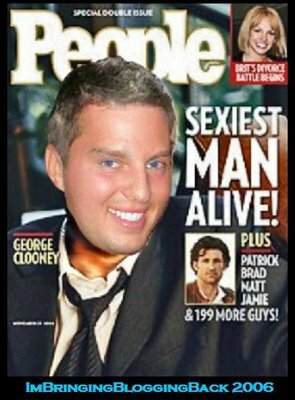 Screw you Clooney! Katie is Alive and Kicking! Kevin Arnold: Alive and Kicking, Not Literally. Well, Alive "Yes." Kicking, "No." Mr Miyagi Alive and Well!